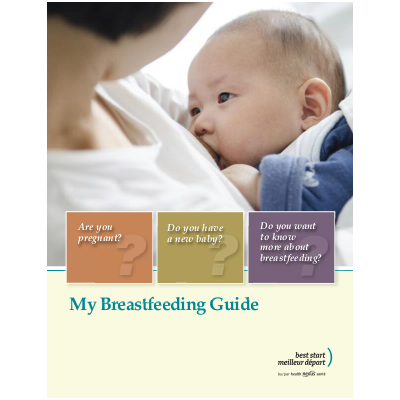 The booklet My Breastfeeding Guide has information and answers questions expectant or new parents may have about breastfeeding. It can be shared with support persons. Also available in French, Arabic, Bengali, Chinese, Farsi, Gujarati, Hindi, Korean, Punjabi, Russian, Serbian, Somali, Spanish, Tagalog, Tamil, Urdu and Vietnamese.